Sunday, December 7. 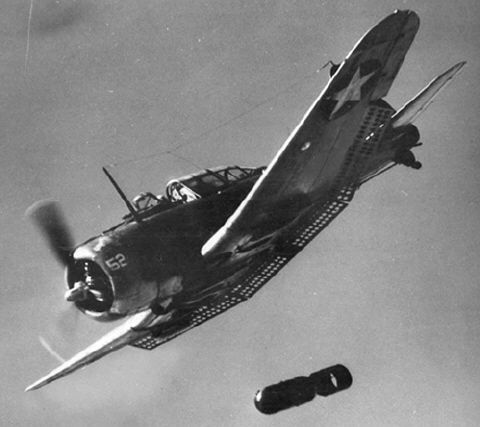 7:55 AM: The first bomb dropped on Wheeler Airbase. The American soldiers stationed at Pearl Harbor were enjoying their weekend, and some of them were sleeping in or in the city of Honolulu. The Americans at Pearl Harbor had ordered all the planes to be lined up really close together to save space. Unfortunately, the planes were like sitting ducks, just waiting for bombs to wipe out all of them. 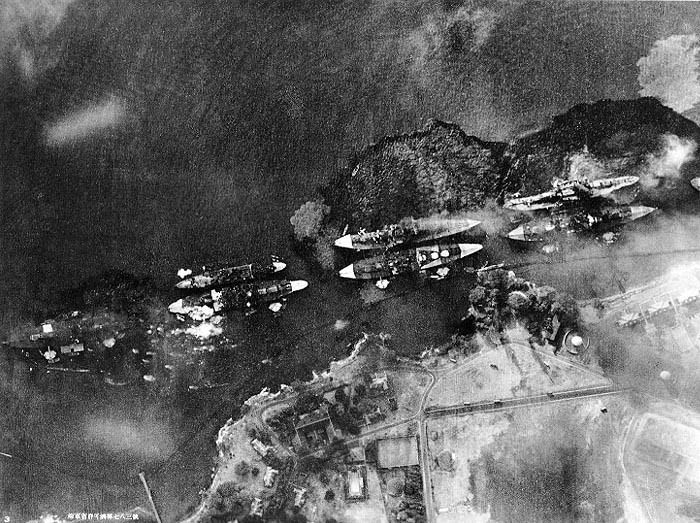 Soon, the Japanese planes went on to Pearl Harbor itself, and dropped bombs on Battleship Row and Ford Island. Battleship Row consisted of 8 battleships: the Arizona, California, Maryland, Nevada, Oklahoma, Pennsylvania, Tennessee, and West Virginia. The most devastating bomb dropped was a bomb aimed at the Arizona. It pierced the ship’s armor, and then hit the ships gunpowder storage. The gunpowder storage contained over 100 million pounds of gunpowder. The USS Arizona blew up, causing severe damage and sinking the ship. None of them expected the Japanese to attack their base full force. Oil from the boats spilled into the water, and when some of the soldiers tried to swim to shore, the oil caught fire and burned them alive. Some soldiers saw dead bodies floating in the water that had been burnt to a crisp. The Japanese also launched five midget submarines, which had wire-cutters on the front to slice through the American’s defensive wire, and they could fire torpedoes. They were operated by two Japanese naval soldiers. However, all of them were damaged badly. 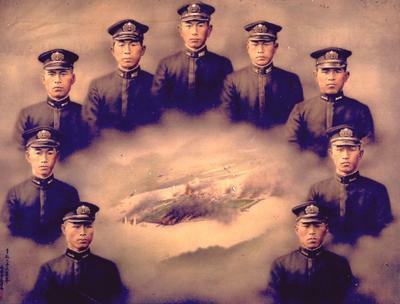 They were the first Japanese soldiers to die in the war, and the Japanese made a painting to honor all of them. The exception was Kazuo Sakamaki. Sakamaki’s submarine had malfunctioned and veered off course. The other soldier in his submarine died on a coral reef, but Sakamaki fell unconscious and washed onshore, where he was taken prisoner by the US. He became the first Japanese prisoner of war. He was not depicted in the painting. The Japanese were planning to do a third attack, but the creator of all the plans, Admiral Yamamoto, decided against it and ordered the Japanese to return home to their families.